Robert M. Utley is a widely respected historian of the American West. Author of 21 books, this National Park Service (NPS) alumnus is also recognized as one of the chief architects of the nation’s national historic preservation program launched after passage of the 1966 National Historic Preservation Act. By any measure, Robert Utley is justifiably credited as “one of the parents” of the law and the federal/state programs it created. Born in 1929 in Bauxite, Arkansas, Utley’s family relocated to northwest Indiana. At 17 with hard-earned savings from after-school work in hand, he traveled by bus to Crow Agency, Montana, donned the NPS uniform (somehow circumventing age restrictions), and stood on Custer Hill regaling summer visitors with the story of the fateful 1876 battle. His love affair with the Great American West was now irreversible. Every summer for the next five years, he returned to Custer Battlefield National Monument (now Little Bighorn Battlefield National Monument). Between these interpretive summers, Utley attended Purdue University receiving a B.S. in history (1951) followed by a M.A. in history from Indiana University (1952). Following graduation, Utley joined the U.S. Army serving four years, the final two plus one civilian year as a historian for the Joint Chiefs of Staff at the Pentagon. Utley joined the NPS in permanent status in September 1957 as Regional Historian for the Southwest Region in Santa Fe. In 1964 at the age of 34, he was selected by NPS Director George Hartzog to serve as Chief Historian in Washington, D.C. While in that position he also served in 1966-1967 as Acting Chief of the newly-created Office of Archeology and Historic Preservation. He followed that as Director of the Office of Archeology and Historic Preservation, Assistant Director of the National Park Service for Park Historic Preservation, and Deputy Executive Director of the President’s Advisory Council on Historic Preservation, serving in that position until his retirement from federal service in 1980. As Chief Historian when the National Park System was growing rapidly, he helped shape that system to high standards. He also instituted rigorous professional standards pertaining to sites the Service managed, ensuring high-quality credible interpretation, and demanding appropriate preservation decisions for park historic buildings and sites. As Acting Chief of the Office of Archeology and Historic Preservation, he played a pivotal role in developing the organizational structure needed to launch the new national historic preservation program. He was actively involved in shaping the historic preservation bill that became law and the actions the NPS took to create the federal/state preservation program now celebrating its 50th anniversary. Among his many noteworthy accomplishments, he chaired a committee of NPS professionals who drafted the criteria for the newlyexpanded National Register of Historic Places. Robert Utley is one of the founders of the Western History Association and a member of the editorial board of The American West Magazine. The Western History Association annually awards the Robert M. Utley Book Award. The Western Historical Quarterly was launched during his presidency. He served as Chairman of the Board of Directors of the Eastern National Parks and Monument Association. In 1974, Purdue University awarded him an Honorary Doctor of Letters. The University of New Mexico followed suit in 1976 and Indiana University in 1981. Since 1980, he has been married to NPS alumnae historian and park manager Melody Webb. 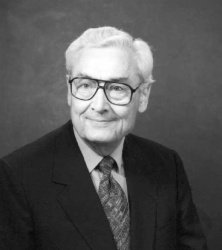 Robert Utley is widely known for his generosity and mentoring of new authors. His contributions to the history of the American West, the nation’s historic preservation program and policies, and the National Park Service and System are inestimable.